Fun Fact: I love cars, but fast cars. Cars that are fashionable, sleek, and engineered with design and architect call my name in every which way. That's why when I got presented with the incredible opportunity to work alongside Mazda, I jumped straight to it. 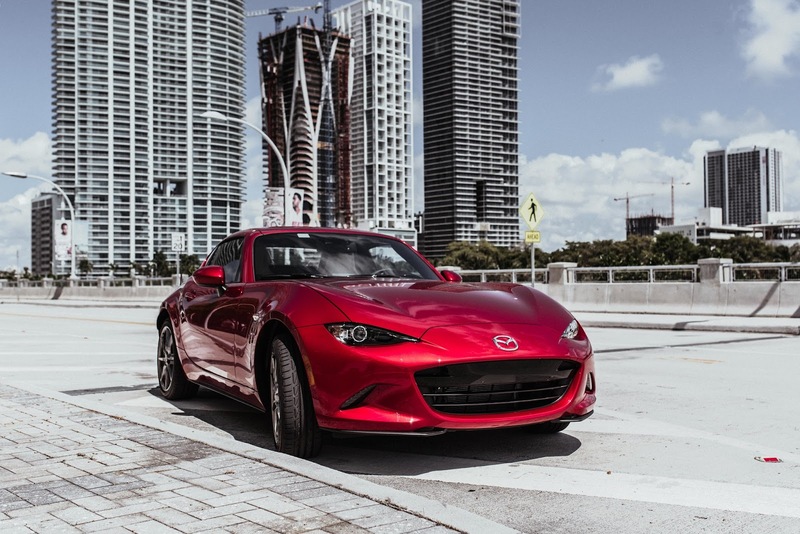 I was so thrilled when I got the news of the specific car that I was going to be able to experience, the Mazda Miata MX-5. When it comes to cars, not only is the style important but so is the substance...and this roadster has both! 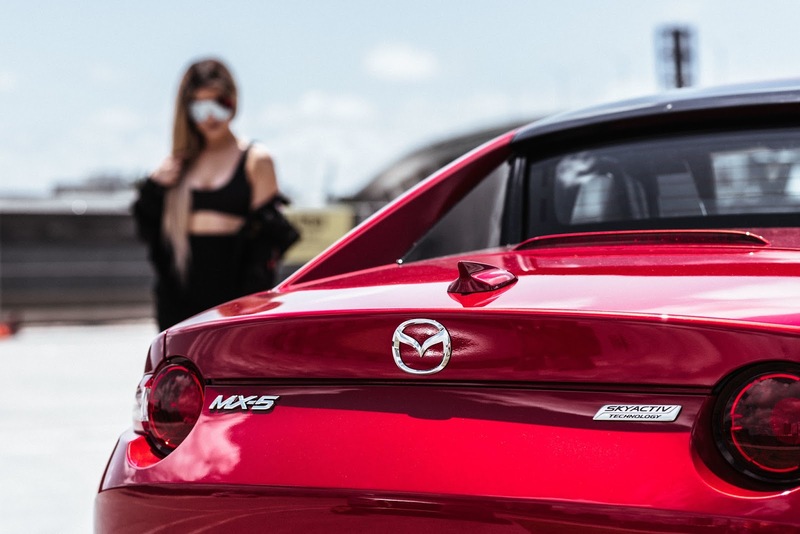 The Mazda MX-5 is your weekend car goals, with two options of convertible settings you can now choose between a hard top roof versus the regular soft top. 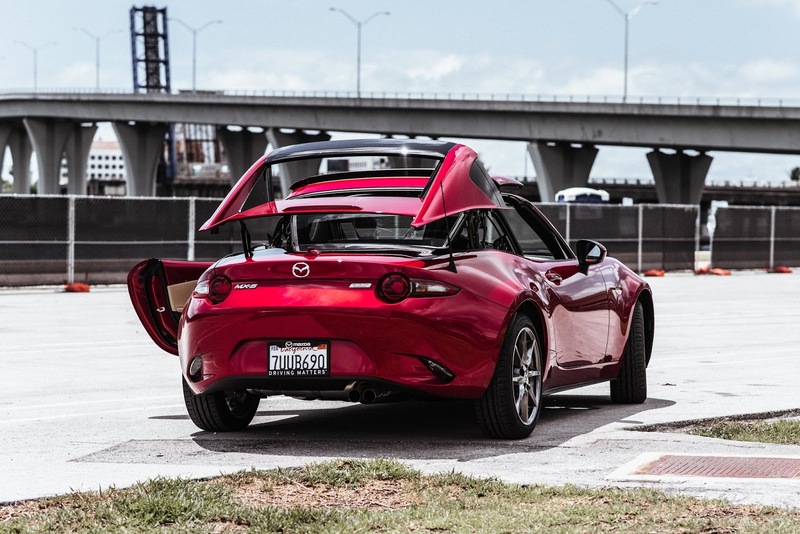 As for me, I wanted the best of both worlds: sleek design & adventure, so I went for the hard top model. Along with a pop-up navigational system, my favorite feature is the fact that the car itself will let you know when you're drifting in your lane. This feature definitely makes the driver aware, it's one more minor detail that fights against texting + driving. I took the car for a fun spin to Key Largo, Miami Beach, and Downtown all within a weeks time and did not have to fill up the gas tank once, can we talk about being efficient?! After all, it was rated a 7/10 for fuel & economy efficiency. After all, it may not be the practical car for a family or even kids, but hey...If you're a single cat lady like me, grab your girlfriend and plan a fun shopping trip. Put the top down, blast the radio, and stick the shopping bags in the trunk (there's always enough space for that).